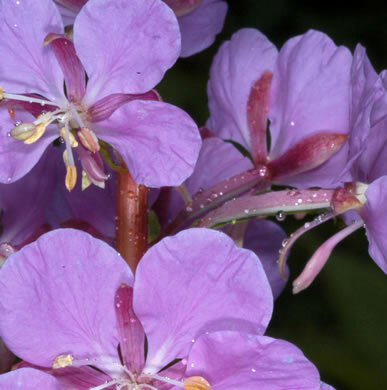 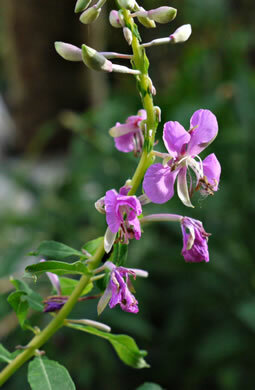 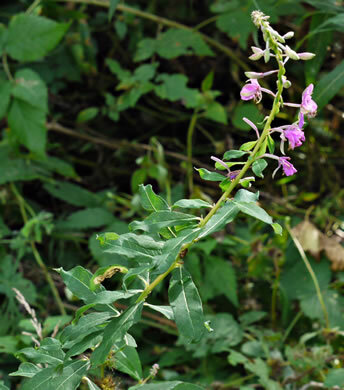 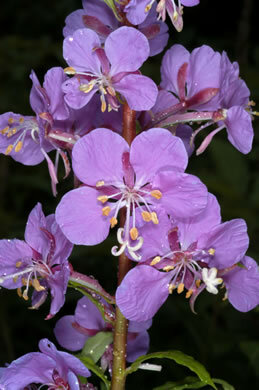 Narrow purplish capsules angle upward, per Wildflowers of Tennessee, the Ohio Valley, and the Southern Appalachians. 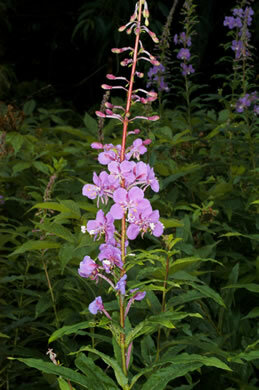 Sepals purplish, linear-oblanceolate, pubescent, 10-15mm long, 1-2mm wide, per Vascular Flora of the Carolinas. 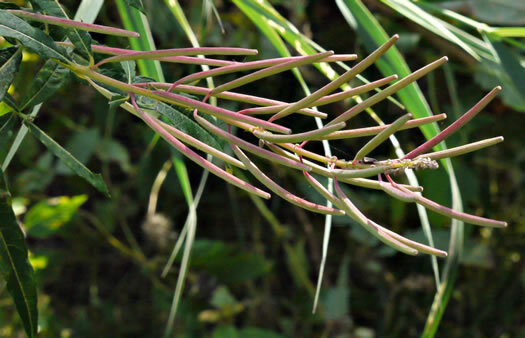 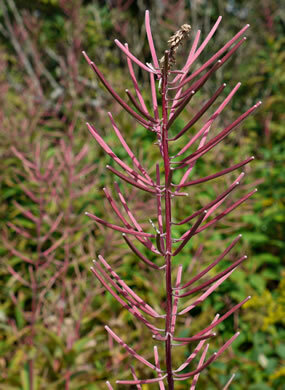 An erect plant 6' or taller, often abundant in recently burned-over areas, per Wildflowers of the Southern Mountains. 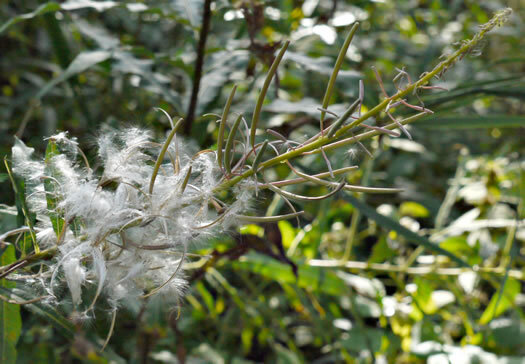 Down-tufted seed are wind dispersed, per Wildflowers of Tennessee, the Ohio Valley, and the Southern Appalachians. 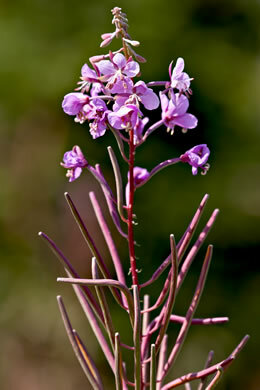 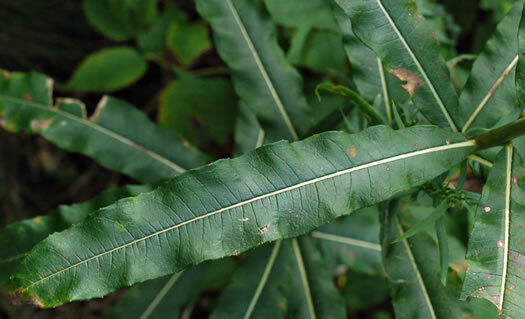 Numerous crowded lance-shaped, entire, sessile leaves to 6" long & 1.2" wide, per Wildflowers of Tennessee.